Olay White Radiance does wonders! I haven’t gotten around to editing pics of my new purchases and those I bought before that are still on pending review. But here’s a review of Olay White Radiance that I have emptied out ages ago (picture was also taken ages ago LOL). My Mom gave me a jar… For a reason — She said I looked terrible! Well, I was at my most low at the time that I let myself go for a while. Zombies probably looked better than I did. 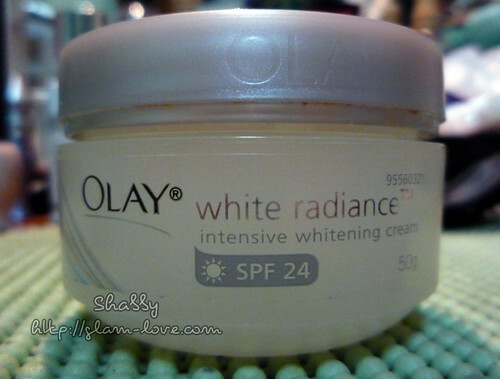 It was the first time I’ve tried that Olay White Radiance and a whitening product at that. I must say that it is truly effective. Not only did it brighten my skin, I also looked more refreshed. Stress-signs were no more and so were the uneven skin tone and red spots. I felt and saw the results in less than two weeks. I applied this every night. Sometimes before makeup too but only on certain days when the weather wasn’t horribly hot. I already had my second jar of this, but not of the very same product. I think I got the night cream without SPF. I very much recommend this. It does wonders and I’m glad and grateful that my Mom introduced me to this. I usually got the “you look younger than your age” even. After I finish my stock of moisturizers I will definitely re-purchase. This is also the most affordable among what I have. If memory serves me right, a jar costs between PhP600 to PhP700. Worth buying for a very effective product, I tell you. There’s a variety of Olay whitening products which will suit everyone’s preference. Olay products are available in most department stores and in leading groceries.